The Directory or Directorate (French: le Directoire) was a five-member committee that governed France from 2 November 1795, when it replaced the Committee of Public Safety, until 9 November 1799, when it was overthrown by Napoleon Bonaparte in the Coup of 18 Brumaire, and replaced by the French Consulate. It gave its name to the final four years of the French Revolution. In its first two years, the Directory concentrated on ending the excesses of the Jacobin Reign of Terror; mass executions stopped, and measures taken against exiled priests and royalists were relaxed. The Jacobin political club was closed and the government crushed an armed uprising planned by the Jacobins and an early socialist revolutionary, François-Noël Babeuf, known as "Gracchus Babeuf". However, following the discovery of a royalist conspiracy including a prominent general, Jean-Charles Pichegru, the Jacobins took charge of the new Councils and hardened the measures against the Church and émigrés. The Jacobins took two additional seats in the Directory, hopelessly dividing it. In 1799, after several defeats, French victories in the Netherlands and Switzerland restored the French military position, but the Directory had lost the support of all the political factions. Bonaparte returned from Egypt in October, and was engaged by the Abbé Sieyès and others to carry out a parliamentary coup d'état on 8–9 November 1799. The coup abolished the Directory, and replaced it with the French Consulate led by Bonaparte. On 27 July 1794, members of the French Convention, the revolutionary parliament of France, rose up against its leader Maximilien Robespierre, who was in the midst of executing thousands of suspected enemies of the Revolution. Robespierre and his leading followers were declared outside the law, and on 28 July were arrested and guillotined the same day. The Revolutionary Tribunal, which had sent thousands to the guillotine, ceased meeting and its head, Fouquier-Tinville, was arrested and imprisoned, and after trial was himself guillotined. More than five hundred suspected counter-revolutionaries awaiting trial and execution were immediately released. The Constitution of the Year III (22 August 1795) began with the 1789 Declaration of the Rights of Man and of the Citizen and declared that "the Rights of Man in society are liberty, equality, security, and property". It guaranteed freedom of religion, freedom of the press, and freedom of labour, but forbade armed assemblies and even public meetings of political societies. Only individuals or public authorities could tender petitions. The new legislature had two houses, a Council of Five Hundred and a Council of Ancients with two hundred fifty members. Electoral assemblies in each canton of France, which brought together a total of thirty thousand qualified electors, chose representatives to an electoral assembly in each department, which then elected the members of both houses. The members of this legislature had a term of three years, with one-third of the members renewed every year. The Ancients could not initiate new laws, but could veto those proposed by the Council of Five Hundred. The new Constitution sought to create a separation of powers; the Directors had no voice in legislation or taxation, nor could Directors or Ministers sit in either house. To assure that the Directors would have some independence, each would be elected by one portion of the legislature, and they could not be removed by the legislature unless they violated the law. Under the new Constitution of 1795, to be eligible to vote in the elections for the Councils, voters were required to meet certain minimum property and residency standards. In towns with over six thousand population, they had to own or rent a property with a revenue equal to the standard income for at least one hundred fifty or two hundred days of work, and to have lived in their residence for at least a year. This ruled out a large part of the French population. 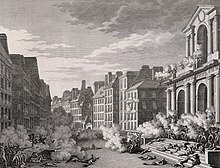 The big loser under the new system was the City of Paris, which had dominated events in the first part of the Revolution. On 24 August 1794, the committees of the sections of Paris, the bastions of the Jacobins, which had provided most of the manpower for demonstrations and invasions of the Convention, were abolished. 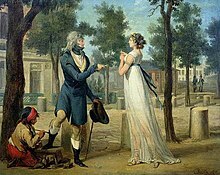 Shortly afterwards, on 31 August, the municipality of Paris, which had been the domain of Danton and Robespierre, was abolished, and the city placed under direct control of the national government. When the Law of 19 Vendémiaire Year IV (11 October 1795), in application of the new Constitution, created the first twelve arrondissements of Paris, it established twelve new committees, one for each arrondissement. The city became a new department, the department of the Seine, replacing the former department of Paris created in 1790. Meanwhile, the leaders of the still ruling National Convention tried to meet challenges from both neo-Jacobins on the left and royalists on the right. On 21 September 1794, the remains of Jean-Paul Marat, whose furious articles had promoted the Reign of Terror, were placed with great ceremony in the Panthéon, while on the same day, the moderate Convention member Merlin de Thionville described the Jacobins as "A hangout of outlaws" and the "knights of the guillotine". Young men known as Muscadins, largely from middle-class families, attacked the Jacobin and radical clubs. The new freedom of the press saw the appearance of a host of new newspapers and pamphlets from the left and the right, such as the royalist L'Orateur du peuple edited by Stanislas Fréron, an extreme Jacobin who had moved to the extreme right, and at the opposite end of the spectrum, the Tribun du peuple, edited by Gracchus Babeuf, a former priest who advocated an early version of socialism. On 5 February 1795, the semi-official newspaper Le Moniteur Universel (Le Moniteur) attacked Marat for encouraging the bloody extremes of the Reign of Terror. Marat's remains were removed from the Panthéon two days later. The surviving Girondin deputies, whose leaders had been executed during the Reign of Terror, were brought back into the Convention on 8 March 1795. The Convention tried to bring a peaceful end to the Catholic and royalist uprising in the Vendée. The Convention signed an amnesty agreement, promising to recognize the freedom of religion and allowing territorial guards to keep their weapons if the Vendéens would end their revolt. On a proposal from Boissy d'Anglas, on 21 February 1795 the Convention formally proclaimed the freedom of religion and the separation of church and state. Between July 1794 and the October 1795 elections for the new-style Parliament, the government tried to obtain international peace treaties and secure French gains. In January 1795 General Pichegru took advantage of an extremely cold winter and invaded the Dutch Republic. He captured Utrecht on 18 January, and on 14 February units of French cavalry captured the Dutch fleet, which was trapped in the ice at Den Helder. The Dutch government asked for peace, conceding Dutch Flanders, Maastricht and Venlo to France. On 9 February, after a French offensive in the Alps, the Grand Duke of Tuscany signed a treaty with France. Soon afterwards, on 5 April, France signed a peace treaty, the Peace of Basel, with Prussia, where King Frederick William II was tired of the war; Prussia recognized the French occupation of the western bank of the Rhine. On 22 July 1795, a peace agreement, the "Treaty of Basel", was signed with Spain, where the French army had marched as far as Bilbao. By the time the Directory was chosen, the coalition against France was reduced to Britain and Austria, which hoped that Russia might be brought in on its side. The new Constitution of the Year III was officially proclaimed in force on 23 September 1795, but the new Councils had not yet been elected, and the Directors had not yet been chosen. The leaders of the royalists and constitutional monarchists chose this moment to try to seize power. They saw that the vote in favor of the new Constitution was hardly overwhelming. Paris voters were particularly hostile to the idea of keeping two-thirds of the old members of the Convention in the new Councils. A central committee was formed, with members from the wealthier neighborhoods of Paris, and they began planning a march on the center of the city and on the Tuileries, where the Convention still met. The members of the Convention, very much experienced with conspiracies, were well aware that the planning was underway. A group of five republican deputies, led by Paul Barras, had already formed an unofficial directory, in anticipation of the creation of the real one. They were concerned about the national guard members from western Paris, and were unsure about the military commander of Paris, General Menou. Barras decided to turn to military commanders in his entourage who were known republicans, particularly Bonaparte, whom he had known when Bonaparte was successfully fighting the British in Toulon. Bonaparte, at this point a general of second rank in the Army of the Interior, was ordered to defend the government buildings on the right bank. The armed royalist insurgents planned a march in two columns along both the right bank and left bank of the Seine toward the Tuileries. 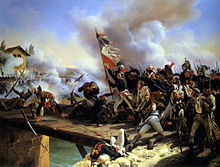 There on October 5, 1795, the royalists were met by the artillery of General Joachim Murat at the Sablons and by Bonaparte's soldiers and artillery in front of the church of Saint-Roch. The whiff of grapeshot of Bonaparte's cannons and gunfire of his soldiers brutally mowed down advancing columns, killing some four hundred insurgents, and ended the rebellion. Bonaparte was promoted to General of Division on 16 October, and General in Chief of the Army of the Interior on 26 October. It was the last uprising to take place in Paris during the French Revolution. Between 12 and 21 October 1795, immediately after the suppression of royalist uprising in Paris, the elections for the new Councils decreed by the new Constitution took place. Three-hundred seventy nine members of the old Convention, for the most part moderate republicans, were elected to the new legislature. To assure that the Directory did not abandon the Revolution entirely, the Council required that all of the members of the Directory be former members of the Convention and regicides, those who had voted for the execution of Louis XVI. On 31 October 1795, the Council of Ancients chose the first Directory from a list of candidates submitted by the Council of Five Hundred. 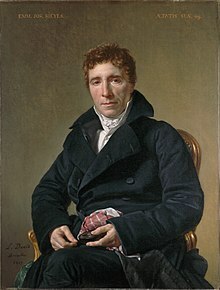 One person elected, the Abbé Sieyès, refused to take the position, saying it didn't suit his interests or personality. A new member, Lazare Carnot, was elected in his place. Louis Marie de La Révellière-Lépeaux was a fierce republican and anti-Catholic, who had proposed to execute Louis XVI after the flight to Varennes. He promoted the establishment of a new religion, theophilanthropy, to replace Christianity. Jean-François Rewbell had an expertise in foreign relations, and was a close ally of Paul Barras. He was a firm moderate republican who had voted for the death of the King but had also opposed Robespierre and the extreme Jacobins. He was an opponent of the Catholic church and a proponent of individual liberties. Étienne-François Le Tourneur was a former captain of engineers, and a specialist in military and naval affairs. He was a close ally within the Directory of Carnot. Lazare Nicolas Marguerite Carnot: when the Abbé Sieyés was elected by the Ancients, but refused the position, his place was taken by Carnot. Carnot was an army captain at the beginning of the Revolution, and when elected to the Convention became a member of the commission of military affairs, as well as a vocal opponent of Robespierre. He was an energetic and efficient manager, who restructured the French military and helped it achieve its first successes, earning him the title of "The Organizer of the Victory." Napoleon, who later made Carnot his Minister of War, described him as "a hard worker, sincere in everything, but without intrigues, and easy to fool." The drop in value in the money was accompanied by extraordinary inflation. The Louis d'or (gold coin), which was worth 2000 livres in paper money at the beginning of the Directory, increased to 3000 and then 5000 livres. The price of a liter of wine increased from 50 sous in October 1795 to ten francs and then thirty francs. A measure of flour worth two livres in 1790 was worth 225 livres in October 1794. To fight inflation, the government began minting more coins of gold and silver, which had real value; the government had little gold but large silver reserves, largely in the form of silverware, candlesticks and other objects confiscated from the churches and the nobility. It minted 72 million écus, and when this silver supply ran low, it obtained much more gold and silver through military campaigns outside of France, particularly from Bonaparte's army in Italy. Bonaparte demanded gold or silver from each city he conquered, threatening to destroy the cities if they did not pay. These measures reduced the rate of inflation. On 19 February 1796, the government held a ceremony in the Place Vendôme to destroy the printing presses which had been used to produce huge quantities of assignats. This success produced a new problem: the country was still flooded with more than two billion four hundred million (2.400.000.000) assignats, claims on confiscated properties, which now had some value. Those who held assignats were able to exchange them for state mandates, which they could use to buy châteaux, church buildings and other biens nationaux (state property) at extremely reduced prices. Speculation became rampant, and property in Paris and other cities could change hands several times a day. The food supply for the population, and particularly for the Parisians, was a major economic and political problem before and during the Revolution; it had led to food riots in Paris and attacks on the Convention. To assure the supply of food to the sans-culottes in Paris, the base of support of the Jacobins, the Convention had strictly regulated grain distribution and set maximum prices for bread and other essential products. As the value of the currency dropped, the fixed prices soon did not cover the cost of production, and supplies dropped. The Convention was forced to abolish the maximum on 24 December 1794, but it continued to buy huge quantities of bread and meat which it distributed at low prices to the Parisians. This Paris food distribution cost a large part of the national budget, and was resented by the rest of the country, which did not have that benefit. By early 1796, the grain supply was supplemented by deliveries from Italy and even from Algeria. Despite the increased imports, the grain supply to Paris was not enough. The Ministry of the Interior reported on 23 March 1796 that there was only enough wheat to make bread for five days, and there were shortages of meat and firewood. The Directory was forced to resume deliveries of subsidized food to the very poor, the elderly, the sick, and government employees. The food shortages and high prices were one factor in the growth of discontent and the Gracchus Babeuf's uprising, the Conspiracy of the Equals, in 1796. The harvests were good in the following years and the food supplies improved considerably, but the supply was still precarious in the north, the west, the southeast, and the valley of the Seine. At first, Babeuf's following was small; the readers of his newspaper, Le Tribun du peuple ("The Tribune of the People"), were mostly middle-class far-left Jacobins who had been excluded from the new government. However, his popularity increased in the working-class of the capital with the drop in value of the assignats, which rapidly resulted in the decrease of wages and the rise of food prices. Beginning in October 1795, he allied himself with the most radical Jacobins, and on 29 March 1796 formed the Directoire secret des Égaux ("Secret Directory of Equals"), which proposed to "revolutionize the people" through pamphlets and placards, and eventually to overthrow the government. He formed an alliance of utopian socialists and radical Jacobins, including Félix Lepeletier, Pierre-Antoine Antonelle, Sylvain Marechal, Jean-Pierre-André Amar and Jean-Baptiste Robert Lindet. The Conspiracy of Equals was organized in a novel way: in the center was Babeuf and the Secret Directory, who hid their identities, and shared information with other members of the Conspiracy only via trusted intermediaries. This conspiratorial structure was later adopted by Marxist movements. Despite his precautions, the Directory infiltrated an agent into the conspiracy, and was fully informed of what he was doing. Bonaparte, the newly named commander of the Army of the Interior, was ordered to close the Panthéon Club, the major meeting place for the Jacobins in Paris, which he did on 27 February 1796. The Directory took other measures to prevent an uprising; the Legion of Police (légion de police), a local police force dominated by Jacobins, was forced to become a part of the Army, and the Army organized a mobile column to patrol the neighborhoods and stop uprisings. The major preoccupation of the Directory during its existence was the war against the coalition of Britain and Austria. The military objective set by the Convention in October 1795 was to enlarge France to what were declared its natural limits: the Pyrenees, the Rhine and the Alps, the borders of Gaul at the time of the Roman Empire. In 1795, Prussia, Spain and the Dutch Republic quit the War of the First Coalition and the war and made peace with France, but Great Britain refused to accept the French annexation of Belgium. Beside Britain and Austria, the only enemies remaining for France were the kingdom of Sardinia and several small Italian states. Austria proposed a European congress to settle borders, but the Directory refused, demanding direct negotiations with Austria instead. Under British pressure, Austria agreed to continue the war against France. Lazare Carnot, the Director who oversaw military affairs, planned a new campaign against Austria, using three armies: General Jourdan's Army of Sambre-et-Meuse on the Rhine and General Moreau's Army of the Rhine and Moselle on the Danube would march to Vienna and dictate a peace. A third army, the Army of Italy under General Bonaparte, who had risen in rank with spectacular speed due to his defense of the government from a royalist uprising, would carry out a diversionary operation against Austria in northern Italy. Jourdan's army captured Mayence and Frankfurt, but on 14 August 1796 was defeated by the Austrians at the Battle of Amberg and again on 3 September 1796 at the Battle of Würzburg, and had to retreat back to the Rhine. General Moreau, without the support of Jourdan, was also forced to retreat. The story was much different in Italy. Bonaparte, though he was only twenty-eight years old, was named commander of the Army of Italy on 2 March 1796, through the influence of Barras, his patron in the Directory. Bonaparte faced the combined armies of Austria and Sardinia, which numbered seventy thousand men. Bonaparte slipped his army between them and defeated them in a series of battles, culminating at the Battle of Mondovi where he defeated the Sardinians on 22 April 1796, and the Battle of Lodi, where he defeated the Austrians on 10 May. The king of Sardinia and Savoy was forced to make peace in May 1796 and ceded Nice and Savoy to France. At the end of 1796, Austria sent two new armies to Italy to expel Bonaparte, but Bonaparte outmaneuvered them both, winning a first victory at the Battle of Arcole on 17 November 1796, then at the Battle of Rivoli on 14 January 1797. He forced Austria to sign the Treaty of Campo Formio (October 1797), whereby the emperor ceded Lombardy and the Austrian Netherlands to the French Republic in exchange for Venice and urged the Diet to surrender the lands beyond the Rhine. The Directory was eager to form a coalition with Spain to block British commerce with the continent and to close the Mediterranean Sea to British ships. By the Treaty of San Ildefonso, concluded in August 1796, Spain became the ally of France, and on 5 October, it declared war on Britain. The British fleet under Admiral Jervis defeated the Spanish fleet at the Cape St Vincent, keeping the Mediterranean open to British ships, but the United Kingdom was brought into such extreme peril by the mutinies in its fleet that it offered to acknowledge the French conquest of the Netherlands and to restore the French colonies. 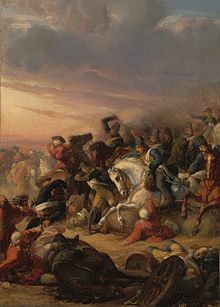 The Directory also sought a new way to strike British interests and to repay the 1707-1800 Kingdom of Great Britain for the support it gave to royalist insurgents in Brittany, France. 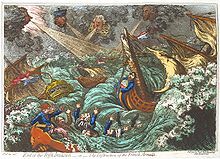 A French fleet of 44 vessels departed Brest on 15 December 1796, carrying an expeditionary force of 14,000 soldiers, led by General Hoche to Ireland, where they hoped to join forces with Irish rebels to expel the British from the 1542-1800 Kingdom of Ireland. However, the fleet was separated by storms off the Irish coast and, being unable to land on Ireland, had to return to home port with only 31 vessels and 12,000 surviving soldiers. The first elections held after the formation of the Directory were held in March and April 1797, in order to replace one-third of the members of the Councils. The elections were a crushing defeat for the old members of the Convention; 205 of the 216 were defeated. Only eleven former deputies from the Convention were reelected, several of whom were royalists. The elections were a triumph for the royalists, particularly in the south and in the west; after the elections there were about 160 royalist deputies, divided between those who favored a return to an absolute monarchy, and those who wished a constitutional monarchy on the British model. The constitutional monarchists elected to the Council included Pierre Samuel du Pont de Nemours, who later emigrated to the United States with his family, and whose son, Éleuthère Irénée du Pont, founded the "E. I. du Pont de Nemours and Company", now known as DuPont. In Paris and other large cities, the candidates of the left dominated. General Jean-Charles Pichegru, a former Jacobin and ordinary soldier who had become one of the most successful generals of the Revolution, was elected president of the new Council of Five Hundred. François Barbé-Marbois, a diplomat and future negotiator of the sale of Louisiana to the United States, was elected president of the Council of Ancients. 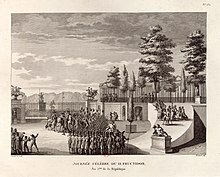 Royalism was not strictly legal, and deputies could not announce themselves as such, but royalist newspapers and pamphlets soon appeared, there were pro-monarchy demonstrations in theaters, and royalists wore identifying clothing items, such as black velvet collars, in show of mourning for the execution of Louis XVI. The parliamentary royalists demanded changes in the government fiscal policies, and a more tolerant position toward religion. During the Convention, churches had been closed and priests required to take an oath to the government. Priests who had refused to take the oath were expelled from the country, on pain of the death penalty if they returned. Under the Directory, many priests had quietly returned, and many churches around the country had re-opened and were discreetly holding services. When the Directory proposed moving the ashes of the celebrated mathematician and philosopher René Descartes to the Panthéon, one deputy, Louis-Sébastien Mercier, a former Girondin and opponent of the Jacobins, protested that the ideas of Descartes had inspired the Reign of Terror of the Revolution and destroyed religion in France. Descartes' ashes were not moved. Émigrés who had left during the Revolution had been threatened by the Convention with the death penalty if they returned; now, under the Directory, they quietly began to return. Parallel with the parliamentary royalists, but not directly connected with them, a clandestine network of royalists existed, whose objective was to place Louis XVIII, then in exile in Germany, on the French throne. They were funded largely by Britain, through the offices of William Wickham, the British spymaster who had his headquarters in Switzerland. These networks were too divided and too closely watched by the police to have much effect on politics. However, Wickham did make one contact that proved to have a decisive effect on French politics: through an intermediary, he had held negotiations with General Pichegru, then commander of the Army of the Rhine. The Directory itself was divided. Carnot, Letourneur and La Révellière Lépeaux were not royalists, but favored a more moderate government, more tolerant of religion. Though Carnot himself had been a member of the Committee of Public Safety led by Robespierre, he declared that the Jacobins were ungovernable, that the Revolution could not go on forever, and that it was time to end it. 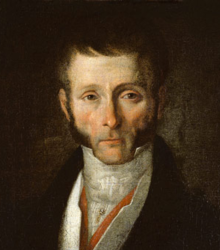 A new member, François-Marie, marquis de Barthélemy, a diplomat, had joined the Directory; he was allied with Carnot. The royalists in the Councils immediately began to demand more power over the government and particularly over the finances, threatening the position of Barras. 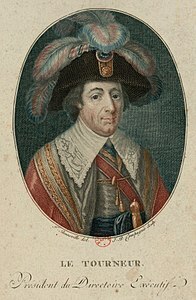 Barras, the consummate intriguer, won La Révellière Lépeaux over to his side, and began planning the downfall of the royalists. From letters taken from a captured royalist agent, he was aware of the contacts that General Pichegru made with the British and that he had been in contact with the exiled Louis XVIII. He presented this information to Carnot, and Carnot agreed to support his action against the Councils. General Hoche, the new Minister of War, was directed to march the Army of Sambre-et-Meuse through Paris on its way to Brest, on the pretext that they would be embarked for a new expedition to Ireland. Hoche himself resigned as Minister of War on 22 July. General Pierre Augereau, a close subordinate and ally of Bonaparte, and his troops arrived in Paris on 7 August, though it was a violation of the Constitution for soldiers to be within twelve leagues of the city without permission of the Councils. The royalist members of the Councils protested, but could do nothing to send them away. On 4 September 1797, with the army in place, the Coup d'état of 18 Fructidor, Year V was set in motion. General Augereau's soldiers arrested Pichegru, Barthélemy, and the leading royalist deputies of the Councils. The next day, the Directory annulled the elections of about two hundred deputies in 53 departments. Sixty-five deputies were deported to Guiana, 42 royalist newspapers were closed, and 65 journalists and editors were deported. Carnot and Barthélemy were removed from the Directory. Carnot went into exile in Switzerland; he later returned and became, for a time, Bonaparte's minister of war. Barthélemy and Pichegru both were sent to exile in French Guiana (penal colony of Cayenne). In June 1798, they both escaped, and went first to the United States and then to England. During the Consulate, Pichegru returned secretly to Paris, where he was captured on 28 February 1804. He died in prison on 6 April 1804, either strangled or having committed suicide. The new Jacobin-dominated Directory and government also targeted the press. Newspaper publishers were required to submit copies of their publications to the police for official approval. On 17 December 1797, seventeen Paris newspapers were closed by order of the Directory. The Directory also imposed a substantial tax on all newspapers or magazines distributed by mail, although Jacobin publications, as well as scientific and art publications, were excluded. Books critical of the Jacobins were censored; Louis-Marie Prudhomme's six-volume Histoire générale et impartiale des erreurs, des fautes et des crimes commis pendant la Révolution française ("General and impartial history of the errors, faults and crimes committed during the French Revolution") was seized. by the police. The Directory also authorized the opening and reading of letters coming from outside of France. In the spring of 1798, not only a new third of the legislature had to be chosen, but the places of the members expelled by the revolution of Fructidor had to be filled. 437 seats were open, out of 750. The elections took place between 9 and 18 April. The royalists had been disqualified, and the moderates were in disarray, while the radical Jacobins made a strong showing. Before the new deputies could take their seats, Barras and the other Directors, more moderate than the new Jacobins, organized a commission to review the elections, and disqualified many of the more extreme Jacobin candidates, replacing them with moderates. They sent the list of candidates for Director to the Councils, excluding any radicals. François de Neufchåteau, was chosen by a drawing of lots to leave the Directory and Barras proposed only moderate Jacobins to replace him: the choice fell on Jean-Baptiste Treilhard, a lawyer. These political maneuvers secured the power of the Directory, but widened further the gap between the moderate Directory and the radical Jacobin majority in the Councils. On 17 October 1797, General Bonaparte and the Austrians signed the Treaty of Campoformio. It was a triumph for France. France received the left bank of the Rhine as far south of Cologne, Belgium, and the islands in the Ionian Sea that had belonged to Venice. Austria in compensation was given the territories of Venice up to the Aegean Sea. In late November and December, he took part in negotiations with the Holy Roman Empire and Austria, at the Second Congress of Rastatt, to redraw the borders of Germany. He was then summoned back to Paris to take charge of an even more ambitious project, the invasion of Britain, which had been proposed by Director Carnot and General Hoche. But an eight-day inspection of the ports where the invasion fleet was being prepared convinced Bonaparte that the invasion had little chance of success: the ships were in poor condition, the crews poorly trained, and funds and logistics were lacking. He privately told his associate Marmont his view of the Directory: "Nothing can be done with these people. They don't understand anything of greatness. We need to go back to our projects for the East. It is only there that great results can be achieved." The invasion of England was cancelled, and a less ambitious plan to support an Irish uprising was proposed instead (see below). The grand plan of the Directory in 1798, with the assistance of its armies, was the creation of "Sister Republics" in Europe which would share the same revolutionary values and same goals, and would be natural allies of France. In the Dutch Republic (Republic of the Seven United Netherlands), the French army installed the Batavian Republic with the same system of a Directory and two elected Councils. In Milan, the Cisalpine Republic was created, which was governed jointly by a Directory and Councils and by the French army. General Berthier, who had replaced Bonaparte as the commander of the Army of Italy, imitated the actions of the Directory in Paris, purging the new republic's legislature of members whom he considered too radical. The Ligurian Republic was formed in Genoa. Piedmont was also turned by the French army into a sister republic, the Piedmontese Republic. In Turin, King Charles-Emmanuel IV, (whose wife, Clotilde was Louis XVI's youngest sister), fled French dominance and sailed, protected by the British fleet, to Sardinia. In Savoy, General Joubert did not bother to form a sister republic, he simply made the province a department of France. The Directory also directly attacked the authority of Pope Pius VI, who governed Rome and the Papal States surrounding it. Shortly after Christmas on 28 December 1797, anti-French riots took place in Rome, and a French Army brigadier general, Duphot, was assassinated. Pope Pius VI moved quickly and formally apologized to the Directory on 29 December 1797, but the Directory refused his apology. Instead, Berthier's troops entered Rome and occupied the city on 10 February 1798. Thus the Roman Republic was also proclaimed on 10 February 1798. Pius VI was arrested and confined in the Grand Duchy of Tuscany before being taken to France in 1799. The Vatican treasury of thirty million francs was sent to Paris, where it helped finance Bonaparte's expedition to Egypt, and five hundred cases of paintings, statues, and other art objects were sent to France and added to the collections of the Louvre. A French army under General Guillaume Brune occupied much of Switzerland. The Helvetian Republic was proclaimed on 12 April 1798. On 26 August 1798, Geneva was detached from the new republic and made part of France. The treasury of Bern was seized, and, like the treasury of the Vatican, was used to finance Bonaparte's expedition to Egypt. The idea of a French military expedition to Egypt had been proposed by Talleyrand in a memoir to the French Institute as early as 3 July 1797, and in a letter the following month from Talleyrand to Bonaparte. The Egyptian expedition had three objectives: to cut the shortest route from England to British India by occupying he Isthmus of Suez; to found a colony which could produce cotton and sugar cane, which were in short supply in France due to the British blockade; and to provide a base for a future French attack on British India. It also had several personal advantages for Bonaparte: it allowed him to keep a distance from the unpopular Directory, while at the same time staying in the public eye. On 19 May 1798, two hundred ships carrying Bonaparte, and 35,000 men comprising the Armée d'Orient, most of them veterans of Bonaparte's Army of Italy, sailed from Toulon. The British fleet under Nelson, expecting a French expedition toward Constantinople, was not in position to stop them. The French fleet stopped briefly at Malta, capturing the island, the government of which offered little resistance. Bonaparte's army landed in the bay of Alexandria on 1 July, and captured that city on 2 July, with little opposition. He wrote a letter to the Pascha of Egypt, claiming that his purpose was to liberate Egypt from the tyranny of the Mamluks. His army marched across the desert, despite extreme heat, and defeated the Mameluks at the Battle of the Pyramids on 21 July 1798. 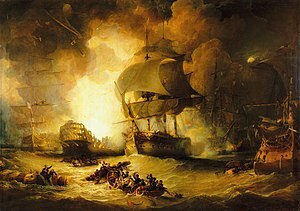 A few days later, however, on 1 August, the British fleet under Admiral Nelson arrived off the coast; the French fleet was taken by surprise and destroyed in the Battle of the Nile. Only four French ships escaped. Bonaparte and his army were prisoners in Egypt. .
Another attempt to support an Irish uprising was made on 7 August 1798. A French fleet sailed from Rochefort-sur-Mer (Rochefort) carrying an expeditionary force led by General Jean Joseph Amable Humbert. The attack was intended to support an uprising of Irish nationalists led by Wolfe Tone. 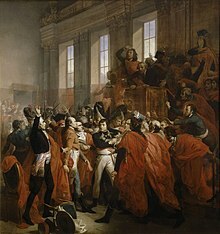 Tone had several meetings with Bonaparte in France to coordinate the timing, but the uprising within the Kingdom of Ireland began early and was suppressed on 14 July 1798 before the French fleet arrived. The French force landed at Killala, in northwest Ireland, on 22 August. It defeated British troops in two small engagements on 24 and 27 August, and Humbert declared the formation of an Irish Republic at Castlebar on 27 August, but the French forces were defeated at the Battle of Ballinamuck on 8 September 1798 by the troops of Lord Cornwallis, British Commander-in-chief in Ireland. A second part of the French expeditionary force, not knowing that the first had surrendered, left Brest on 16 September. It was intercepted by the British Navy in the bay of Donegal, and six of the French warships were captured. Tensions between the United States and France developed into the Quasi-War, an undeclared naval war. France complained the United States was ignoring the 1778 Treaty of Alliance that had brought the French into the American Revolutionary War. The United States insisted on taking a neutral stance in the war between France and Britain. After the Jay Treaty with Britain went into effect in 1795, France began to side against the United States and by 1797 had seized over 300 American merchant ships. Federalists favored Britain while Jeffersonian Republicans favored France. Federalist President John Adams built up the United States Navy, finishing three frigates, approving funds to build three more and sending diplomats to Paris to negotiate. They were insulted by Foreign Minister Talleyrand (who demanded bribes before talking). The XYZ Affair told Americans about the negotiations and angered American public opinion. The war was fought almost entirely at sea, mostly between privateers and merchant ships. In 1800, the Convention of 1800 (Treaty of Mortefontaine) ended the conflict. Britain and Austria had been alarmed by the French creation of Sister Republics. Austria first demanded that France hand over a share of the territory of the new Republics to it. When the Directory refused, Austria began searching for partners for a new military alliance against France. 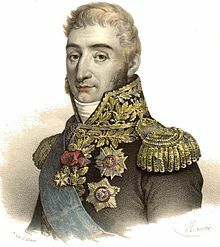 The new Czar of Russia, Paul I of Russia, was extremely hostile to French republican ideas, sympathetic to the exiled Louis XVIII, and willing to join a new coalition against France. The Czar offered an army of 20,000 men, sent by sea to Holland on his Baltic fleet. 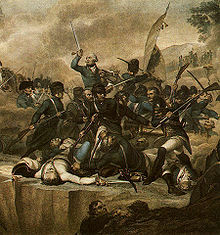 He sent another army of 60,000 men, veterans of fighting in Poland and Turkey, under his best general, Alexander Suvorov, to join the Austrian forces in northern Italy. The King of Prussia, Frederick-William III, had carefully preserved neutrality in order to profit from both sides. The Directory made the error of sending one of the most prominent revolutionaries of 1789, the Abbé Sieyés, who had voted for the death of Louis XVI, as ambassador to Berlin, where his ideas appalled the arch-conservative and ultra-monarchist king. Frederick William maintained his neutrality, refusing to support either side, a setback for France. On 10 November 1798, the British and Austrian governments had agreed on a common goal of suppressing the five new sister republics and forcing France back into its 1789 borders. Then on 29 November 1798, on the first day of the War of the Second Coalition, the King of Naples launched an attack on Rome, which was lightly defended by French soldiers. A British fleet landed three thousand Neapolitan soldiers in Tuscany. However, the French army of General Championnet responded quickly, defeating the Neapolitan army at the Battle of Civita Castellana at Civita Castellana on 5 December. The next day, 6 December 1798, French soldiers also forced the King of Sardinia to remove his soldiers from Piedmont and to retreat to his island of Sardinia, his last possession. The French army marched to the Kingdom of Naples, obliging the King of Naples to leave his City of Naples on a British warship on 23 December 1798. Naples was then occupied on 23 January 1799, and a new Neapolitan republic, the so-called Parthenopean Republic, the sixth under French protection, was proclaimed on 26 January. Peace negotiations with Austria went nowhere in the spring of 1799, and the Directory decided to launch a new offensive into Germany, but the arrival of a Russian army under Alexander Suvorov and fresh Austrian forces under the Archduke Charles for a time changed the balance of power. Jourdan's Army of the Danube crossed the Rhine on 6 March but was defeated by the Archduke Charles, first at the Battle of Ostrach and then at the Battle of Stockach on 25 March 1799. Jourdan's army withdrew while Jourdan himself returned to Paris to plea for more soldiers. The surviving leaders of the royalist rebellions in the Vendée and Brittany, which had long been dormant, saw a new opportunity for success and met to plan strategy on 15 September 1799. The royalist commander Louis de Frotté, in exile in England, returned to France to command the new uprising. While the French armies in Italy and Switzerland tried to preserve the Sister Republics, Bonaparte pursued his own campaign in Egypt. He explained in a letter to the Directory that Egyptian venture was just the beginning of a broader campaign "to create a formidable diversion in the campaign of Republican France versus monarchic Europe. Egypt would be the base of something much larger than the original project, and at the same time a lever which will aid in the creation of a general uprising of the Muslim world." This uprising, he believed, would lead to the collapse of British power from the Middle East to India. With this goal in mind, he left Cairo and marched his army across the Sinai desert into Syria, where he laid siege to the port of Saint-Jean-d'Acre of the Ottoman Empire, which was defended by a local army and supplied by a British fleet offshore. His long siege and attempts to storm the city were a failure; his army was ravaged by disease, it was down to 11,000 men, and he learned that an Ottoman army was to be embarked by the British fleet to sail to Cairo to recapture the city. On 17 May, he abandoned the siege and was back in Cairo by 4 June. The British fleet landed the Ottoman army, but as soon as they were ashore they were decisively defeated by Bonaparte at the Battle of Aboukir on 25 July 1799. Due to the British blockade of Egypt, Bonaparte had received no news from France for six months. He sent one of his military aides to meet with Turkish government officials and to try to get news from France, but the officer was intercepted by the British navy. The British admiral and naval commander in the eastern Mediterranean, Sir Sidney Smith, who had lived in Paris and knew France well, gave the officer a packet of recent French newspapers and sent him back to Bonaparte. Bonaparte spent the night reading the newspapers, learning about the political and military troubles in France. His orders permitted him to return home any time he chose. The next day he decided to return to France immediately. He handed over command of the army to General Kléber and left Egypt with a small party of senior officers aboard the frigate La Muiron. He escaped the British blockade but did not reach France until 9 October. The military position of France, which seemed disastrous during the summer, improved greatly in September. On 19 September, General Brune won a victory over the British-Russian army in the Netherlands at Castricum. On 18 October, besieged by Brune at Alkmaar, the British-Russian forces under the Duke of York agreed to withdraw. In Switzerland, a Russian Empire Army had split into two. 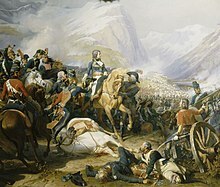 On 25–26 September, the French army in Switzerland, led by André Masséna, defeated one part of the Russian army under Alexander Rimsky-Korsakov at the Second Battle of Zurich, and forced the rest of the Russian army, under Suvorov, into disastrous retreat across the Alps to 'Italy'. Suvorov was furious at the Austrians, blaming them for not supporting his troops, and he urged the Czar to withdraw his forces from the war. The royalist uprising in the west of France, planned to accompany the British-Russian-Austrian offensive, was also a failure. The Chouans briefly seized Le Mans on 14 October and Nantes on 19 October, but they were quickly driven out by the French Army, and the rebellion had collapsed by 29 October. New elections to elect 315 members of the Councils were held between 21 March – 9 April 1799. The royalists had been discredited and were gone; the major winners were the neo-Jacobins, who wanted to continue and strengthen the Revolution. 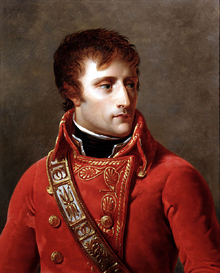 The new members of the Council included Lucien Bonaparte, the younger brother of Napoleon, just twenty-four years old. On the strength of his name, he was elected the President of the Council of Five Hundred. The rule that Directors must to be at least forty years old became one justification for the Coup of 18 Brumaire: the coup d'état took place on 9 November 1799, when Bonaparte was thirty years old. Bonaparte returned to France, landing at the fishing village of Saint-Raphaël on 9 October 1799, and made a triumphal progression northward to Paris. His victory over the Ottoman Turks at the Battle of Aboukir had been widely reported, and overshadowed the other French victories at the Second Battle of Zurich and the Battle of Bergen. Between Avignon and Paris, he was welcomed by large, enthusiastic crowds, who saw him as a saviour of the Republic from foreign enemies and the corruption of the Directory. Upon his arrival in Paris he was elected to the Institut de France for the scientific accomplishments of his expedition to Egypt. He was welcomed by royalists because he was from a minor noble family in Corsica, and by the Jacobins because he had suppressed the attempted royalist coup d'état at the beginning of the Directory. His brother Lucien, though only twenty-four years old, became a prominent figure in the Council of Five Hundred because of his name. Bonaparte's first ambition was to be appointed to the Directory, but he was not yet forty years old, the minimum age set by the Constitution, and the Director Gohier, a strict legalist, blocked that avenue. His earliest ally had been the Director Barras, but he disliked Barras because his wife Joséphine had been his mistress before she married Bonaparte, and because of charges of corruption that surrounded Barras and his allies. Bonaparte wrote later that the Jacobin director, General Moulin, approached Bonaparte and suggested that he lead a coup d'état, but he declined; he wished to end the Revolution, not continue it. 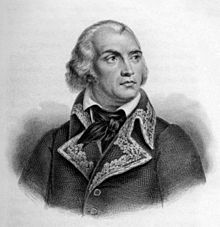 Sieyés, who had been looking for a war hero and general to assist in a coup d'état, had originally in mind General Joubert, but Joubert had been killed at the Battle of Novi in August 1799. He then approached General Moreau, but Moreau was not interested. 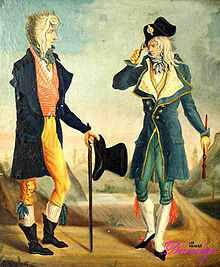 The first meeting between Sieyés and Bonaparte, on 23 October 1799, went badly; the two men each had enormous egos and instantly disliked each other. Nonetheless, they had a strong common interest and, on 6 November 1799, they formalized their plan. Early in the morning of 9 November, army units began taking positions in Paris, and the members of the Council of Ancients were awakened and instructed to come to the Tuileries Palace for an emergency meeting. When they gathered at seven-thirty, they were told that a Jacobin conspiracy to overthrow the government had been discovered and that they should transfer their meeting the next day to the Château de Saint-Cloud, where they would be in safety. The members were asked to approve a decree to move the meeting site, and to appoint Bonaparte as commander of troops in Paris to assure their security. Alarmed, they quickly approved the decree. Bonaparte himself appeared with his staff and told them, "Citizen representatives, the Republic was about to perish. You learned of it and your decree has just saved it". At eleven in the morning, the members of the Council of Five Hundred met at the Palais Bourbon and were given the same message. They agreed to move their meeting the following day to Saint-Cloud. As planned, by the afternoon Sieyés and Roger Ducos had given their resignations. Talleyrand was assigned to win the resignation of Barras. Talleyrand was supplied with a large amount of money to offer Barras to quit; historians differ on whether he gave the money to Barras or kept it for himself. Barras, seeing the movements of soldiers outside and being assured that he could keep the great wealth he had acquired as a Director, readily agreed to leave the Directory. With three members gone, the Directory could not legally meet. The Jacobin directors Moulin and Gohier were arrested and confined to the Luxembourg Palace under the guard of General Moreau. The first day of the coup had gone exactly as planned. With that event, the Directory was finished. A new government, the Consulate, was founded. According to most historians, the French Revolution was over. Despite wars and social turmoil, the population of France continued to grow during the Directory. It was 27,800,000 in 1796, before the Directory, and had grown to 27,900,000 by 1801. Annual population growth had dropped from 16 percent in 1785, before the Revolution, to zero in 1790; but it then rebounded to 36 percent in 1795, then down to 12 percent in 1800. Part of the drop in birthrate during the Directory is attributed to the simplification of divorce, and the change in inheritance laws, which granted equal shares to all descendants. The number of young men killed in the wars during the Directory numbered 235,000 between 1795 and 1799. The high birth rate before the Revolution – together with conscription from conquered and allied states – allowed Napoleon to fill the ranks of his Grande Armée during the Empire between 1804 and 1815. Two new groups gained importance during the Directory. The number of government officials of all levels increased dramatically. The writer Louis-Sébastien Mercier in his Paris pendant la Révolution (1789–1798), ou Le nouveau Paris, published in 1800, wrote: "There is no one who has not complained of the insolence, or the ignorance, of the multitude of government officials employed in the bureaus to sharpen their pens and to obstruct the course of affairs. New has the bureaucracy been carried to a point so so exaggerated, so costly, to exhausting." Economic problems led to a large increase in crime under The Directory, particularly in the countryside. Bands of the unemployed became beggars and turned to robbery, and brigands robbed travelers along the highways. Some of the brigands were former royalists turned highwaymen. They were later celebrated in the novel of Alexander Dumas, Les Compagnons de Jéhu ("The Companions of Jehu"). The government did not have the money to hire more police, and the great majority of the army was occupied fighting in Italy, Switzerland and Egypt. The growing insecurity on the roads seriously harmed commerce in France. The problem of brigands and highwaymen was not seriously addressed until after a serious wave of crimes on the roads in the winter of 1797–98. The Councils passed a law calling for the death penalty for any robbery committed on the main highways or against a public vehicle, such as a coach, even if nothing was taken. If the crime was committed by more than one person, the robbers were tried by a military tribunal rather than a civilian court. The wave of highway robberies was finally stopped by Bonaparte and the Consulate, which employed special tribunals even swifter and more severe than the Directory tribunals. Corruption was another serious problem, particularly with the businessmen who provided supplies to the army and government. In one case, the Chevalier enterprise received a contract to build three large warships and two frigates at Rochefort; the company was paid in national property seized from the aristocracy and the Church, but it never constructed the ships, or even bought the materials. Huge contracts for government supplies were passed from the furnishers to sub-contractors, who each paid the furnisher a fee. Sometimes contractors demanded to be paid for their services in advance in silver. They were paid, but never delivered the services, and then reimbursed the government with nearly-worthless assignats. The Directors themselves were accused of receiving money from contractors. The Minister of Finance of the Directory, Dominique-Vincent Ramel-Nogaret, was offered 100,000 francs for a bribe to give a contract by a furnisher named Langlois. Ramel refused and turned Langlois over to the police; however, some ministers and Directors, like Barras, left the government with large fortunes. The Directory was unable to escape the accusations of widespread corruption. Born in reaction against the strict codes of behavior established during the Convention and the Reign of Terror, the Muscadins were fashionable young men who carried canes and sometimes, in groups, attacked sans-culottes. Following soon afterwards, the Directory had its own fashion reflecting the new social behavior and carried out by young Parisians of both sexes, from middle and upper-class families, often survivors of the excesses of the Revolution, who had lost parents and family members to the guillotine. They were called Incroyables and Merveilleuses and dressed in extravagant costumes. The men, the Incroyables, wore long hair to their shoulders, round hats with broad brims, short coats and silk culottes. Their female counterparts, the Merveilleuses, wore flowing, high-breasted transparent dresses reminiscent of the Greco-Roman era. They frequented balls called Bals des victimes and spoke in their own particular accent and vocabulary, avoiding to pronounce the letter "R", as it was the first letter of the word "Revolution"
During the Directory, almost all the structures and rules of Paris society had been swept away, but no new structures and rules had yet been created to replace them. The brothers Goncourt meticulously described the period on their Histoire de la société française pendant le Directoire. Caste and rank mattered far less; all the old titles and forms of address had disappeared, along with old customs and social conventions. Men no longer took off their hats when talking to women, and people of different ranks spoke to each other as equals. Society no longer met in private, in the houses of the nobility, but in public, at balls, restaurants and public gardens. As the Goncourts said, "social anarchy" reigned in Paris: "everyone met with everyone." Government ministers could be seen walking or dining with actresses, bankers with courtesans. Although balls were not banned during the Reign of Terror, after the death of Robespierre and the fall of the Jacobins, the city experienced a frenzy of dancing that lasted throughout the period of the French Directory. The Goncourt brothers reported that 640 balls took place in 1797 alone. Several former monasteries were turned into ballrooms, including the Noviciate of the Jesuits, the Monastère des Carmes (turned into a prison where 191 members of the Catholic Church (bishops, priests, monks) were massacred on 2 September 1792, the Séminaire Saint-Sulpice, and even in the former Saint-Sulpice cemetery. Some of the former palatial townhouses of the nobility were rented and used for ballrooms; the Hôtel de Longueville near the Louvre put on enormous spectacles, with three hundred couples dancing, in thirty circles of sixteen dancers each, the women in nearly transparent dresses, styled after Roman tunics. In the public balls, everyone danced with everyone; merchants, clerks, artisans and workers danced with shop women and seamstresses. In the more popular public balls, the cavaliers were charged 80 sous for admission, while women paid 12 sous. At more exclusive balls, admission was five livres. Aristocrats who had survived or returned from exile held their own balls in their houses in the Faubourg Saint-Germain, where Bals des victimes ("Balls of the victims") were attended by invitees who had lost at least one parent to the guillotine. The formal dancing of the minuet was replaced by a much more passionate new dance, the waltz, which was introduced to Paris during this time from Germany. For summer evening entertainment, Parisians began to abandon the Tuileries Gardens and the gardens of the Palais-Royal and went to the new pleasure gardens which appeared in the neighborhood between the Grands boulevards and the Palais-Royal. The most famous was the Jardin de Tivoli, also known as Folie Boutin or Grand Tivoli, located on rue Saint-Lazare. It had belonged to an aristocrat named Boutin, who was guillotined during the Reign of Terror. It was a vast garden covering 40 arpents (13,675 hectares), and could hold as many as ten thousand persons. It had alleys filled with promenaders, greenhouses, illuminations, an orchestra, dancing, a café, and fireworks at night. Other new gardens competed by adding spectacles and pageants. The Jardin des Champs-Élysées offered a pageant of costumed soldiers on horseback performing elaborate maneuvers and firing weapons. The Mousseau (now Parc Monceau) had performers dressed as American Indians dancing and fighting battles. The former Pavillon de Hanovre, which had been part of Cardinal Richelieu's residential complex, featured a terrace for dancing and dining decorated with Turkish tents, Chinese kiosks and lanterns. Many new restaurants and cafés, usually close to the twenty-three theaters, appeared in and around the Palais-Royal and the new boulevards. A new café, the Tortoni, specializing in ice creams, opened in 1795 at the corner of the boulevard des Italiens and rue Taitbout. The new restaurants in the Palais-Royal were often run by the former chefs of archbishops and aristocrats who had gone into exile. The restaurant Méot offered a menu with over one hundred dishes. Beside the Méot and Beauvilliers, under the arcades of the Palais-Royal were the restaurants and cafés such as Naudet, Robert, Véry, Foy, Huré , Berceau, Lyrique, Liberté conquise, de Chartres (now Le Grand Véfour), and du Sauvage (the last owned by the former coachman of Robespierre). In the cellars of the Palais-Royal were more popular cafés, usually with music, smaller menus at more reasonable prices. One of those, the Postal , offered a menu for just 36 sous. Many of the cafés in the cellars had orchestras; the most famous was the Café des Aveugles, with an orchestra of four blind musicians. The Roman Catholic Church was one of the greatest status quo losers of over the course of the 1789-1799 French Revolution. [according to whom?] Priests, who refused to take an oath to the Civil Constitution of the Clergy emigrated or were expelled from France under a penalty of death. Church property, from cathedrals to candlesticks, was seized and sold. Church ceremonies were banned, causing clandestine religious services to be conducted in private homes. During the Reign of Terror, at Robespierre's urging, the National Convention, on 7 May 1794, proclaimed a new religion, the Cult of the Supreme Being, which in a little over a year led to the Thermidorian Reaction, and Robespierre's downfall and execution. The Roman Catholic Church had been the official state religion during the monarchy, and the Directors were all anti-religious republicans, but the Directory, with a few exceptions, did not try to impose any particular religious views, and its policy toward priests and religious institutions changed depending upon political events. After the fall of Robespierre, the repression against the Church eased and, although the policy of repression remained, many churches, especially in the provinces, re-opened, and exiled priests began to quietly return. In November 1797, working with the new decimal-based Republican Calendar, the week of which has ten days, the Directory replaced Sundays and religious holidays with republican celebrations. The tenth day of the week, called decadi, was designated to replace Sunday. The churches still functioning with Constitutional priests were instructed to have mass on decadi, rather than on the day that would have been Sunday in the previous calendar, and decadi became the official non-working day: government employees were off, and schools, shops and markets were closed. To replace saints' and religious days, a whole series of secular holidays was created, in addition to the patriotic celebrations already in place, such as 14 of July and important dates of the French Revolution. There were also special days, such as, "the day of the sovereignty of the people"; "the day of youth"; "the day of spouses"; "the day of agriculture" and "the day of the elderly". Certain churches were given new names: the cathedral Notre Dame de Paris was renamed "Temple of the Supreme Being", Saint-Étienne-du-Mont became the "Temple of Filial piety". On decadi, the constitutional priests who performed services were required to share the space with other republican religions and associations who wanted to use the buildings. Large churches were divided into sections for use by various religions. In Italy, the French army attacked the papal states governed by the Roman Catholic Church in Italy. In February 1797, Bonaparte occupied Ancona to force Pope Pius VI to negotiate. The pope was obliged to cede Ancona and the northern part of his states to the new French-sponsored Cispadane Republic. The gold and silver in the treasury of the Vatican was taken to France to help support the French currency. Following anti-French riots in Rome in December 1797, a French army under Berthier entered Rome and proclaimed a Roman Republic. Pius VI was taken prisoner by the French Army, and transferred to Valence in France, where he was kept prisoner until his death in 1801. The lack of credit led to the creation of a number of new private banks, and the growing importance of banks and bankers in the economy. The Caisse des comptes courants, created in June 1796, had some of the most important industrialists and financiers in France as its founders, who would later become the founders of the Banque de France. Several other new private banks followed, which concentrated the wealth of France even more in Paris. Since the nobility had gone into exile, the bankers became the new nobility of France. In other words, bankers became the new aristocrats. The transportation system within France was another handicap to the economy. The roads and canals had not been improved or maintained since the overthrow of the monarchy. Major canals that had been started in Burgundy and in the north were unfinished. Maritime commerce was in an even worse situation as a result of the war and blockade of French ports by Britain. During the Directory, the number of French ships of more than two hundred tons was one tenth of what it had been in 1789. The conquest of Belgium, the Netherlands and Italy improved the situation somewhat: French goods could be transported on the neutral ships of these countries, and maritime traffic on the Baltic Sea to Germany became an important trade route for France. However, the British navy largely cut off the trade with the French colonies in the Caribbean, which earlier had provided sugar, cotton, indigo and coffee to France; and the entry of the fleet of Admiral Nelson into the Mediterranean Sea cut off the trade routes there. The major ports of Nantes and Marseille saw their commerce and trade routes disappear. The continual wars and fiscal crises greatly limited the expansion of French industry. The Industrial Revolution had only just begun in France. Production during the Directory had fallen below what it was in 1789. The number of workers in the silk industry in Lyon had dropped from 12,000 before 1787 to 6,500. The cotton textile industry was more successful due to the embargo against British products caused by the war. New factories and new technologies, such as mechanical looms, were introduced in Normandy and in Alsace. However, the technologies were still primitive; the steam engine had not yet arrived in French factories. The chemical industry was also advancing rapidly during the Directory; the chemist and entrepreneur Jean Antoine Claude Chaptal built a chemical factory in Montpellier, which he soon moved to Chaillot, a village west of Paris. The most effective promoter of French industry was François de Neufchâteau, who was Minister of the Interior before becoming a Director in 1797. He planned a new canal system, began work on a new road across the Pyrenees, and organized the first national industrial exposition in Paris, which opened with great success in October 1798. Once he became Consul, Bonaparte copied the idea of the industrial exposition. Despite this bright spot, French industry was primitive: without steam power, most factories in France depended upon water power, and the metallurgy industry still melted iron with wood fires, not oil. Agriculture was another weak spot of the French economy. While the country was essentially rural, the methods of farming had not been changed in centuries. The vast majority of farmers had small plots of land, sold little and worked essentially to produce enough food for their families. The price of grain was freed from government control under the Directory in 1797, and farmers could sell their grain at whatever price they could get. Following the Revolution in 1789, the forests had been taken away from the nobles and opened to everyone; as a result, large areas of the forests were immediately cut down, and no new trees planted to replace them. The land of the nobility and Church was taken and redistributed to peasants, but under the new inheritance laws, which gave equal shares to all sons, the size of the farm plots became smaller and smaller. Small plots were not consolidated into larger fields, as was taking place in England at the same time. Most farmers were reluctant to try new methods; they did not want to leave fields idle to recover productivity, or to grow forage crops to feed cattle. Furthermore, during the endless wars of the Directory, thousands of farmers were taken into the army, and thousands of horses and mules needed for farming were taken by the Army for the use of the cavalry and transport. Under these conditions, food shortages and famines occurred regularly in France until the time of Napoleon III. At the beginning of the period, the Directory reversed the policy of obligatory and free education for all, largely because of the lack of money to pay teachers. The Directory began to create a system of central schools, with the goal of one in each department, which boys could attend from the age of twelve, with a full curriculum of sciences, history and literature. The state paid a part of the cost, while each student also paid the professor a fee. The new schools had libraries (mostly confiscated from the nobility), small botanical gardens, and museums of natural history. For the first time in French schools, French instead of Latin was the basis of education. Three of these schools were organized in Paris; two of them later became the famous Lycée Henri-IV and Lycée Charlemagne. But by the end of the Directory there were only 992 students in the three Paris schools. The Directory focused its attention on secondary education and especially on creating specialized higher schools for training managers, judges, doctors and engineers, for which there was an immediate and pressing need. The École Polytechnique had been founded by a member of the Directory, Lazare Carnot and the mathematician Gaspard Monge, in 1794. The school became the most prestigious engineering and public works school in France. However, by the end of the Directory there were still no law schools, and only two schools of medicine outside of Paris. The Institut de France was also founded in 1795 by Lazare Carnot and Monge, to bring together the scientists and researchers, who previously had worked in separate academies, to share knowledge and ideas. It was divided into three large sections: physical sciences and mathematics; moral and political science; and literature and the fine arts. It organized the large party of scientists and scholars who accompanied Napoleon to Egypt, which discovered such treasures as the Rosetta Stone, which allowed the deciphering of Egyptian hieroglyphs. One of the Institut de France first members and speakers was Napoléon Bonaparte, who took the place of Carnot after the latter had been removed from the Directory and left France. The artists of Paris were in a difficult situation during the Directory, as their most important patrons, the aristocracy, had been executed or had emigrated; however a new wealthy class was just being formed. Before the Revolution a half-figure portrait could be commissioned from a less-known artist for three hundred livres. During the Directory, the price fell to forty-eight livres. Nonetheless, the Salon took place in the Louvre in 1795 as it had since 1725, before the Revolution, and each year thereafter. The most prominent artist of the Revolution, Jacques-Louis David, closely connected with the Jacobins, was in seclusion in his studio inside the Louvre. 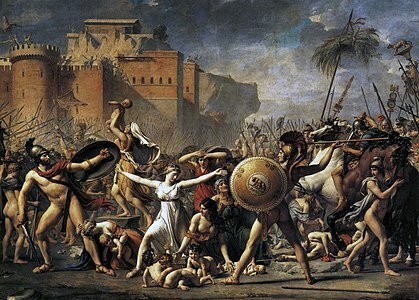 At the end of the period, in 1799, he produced one important work, the Intervention of the Sabine Women. 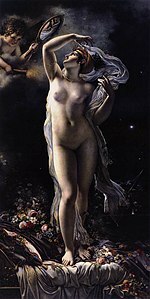 However, a new generation of artists, inspired by David, showed their works; François Gérard; Anne-Louis Girodet, a pupil of David, renown for his romantic paintings, particularly a 1797 painting of the prominent actress Mademoiselle Lange as Venus; Carle Vernet, the son and father of famous painters; the portrait painter and miniaturist Jean-Baptiste Isabey, known as the "painter of the kings" or "portraitist of Europe", who painted queen Marie-Antoinette and empress Joséphine, and remained active until the Second Empire; the genre painter Louis-Léopold Boilly; Antoine-Jean Gros, a young history and landscape painter, who soon achieved fame and a government position in 1796 with a heroic portrait of Bonaparte at the battle of Arcole; the romantic landscapes of Hubert Robert; Pierre-Paul Prud'hon, whose work combined Neoclassicism and Romanticism; and a major neoclassical sculptor from the earlier generation, Jean-Antoine Houdon, famous for his busts of George Washington and Voltaire. 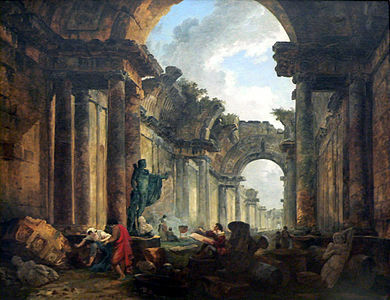 Making the Louvre into an art museum had first been proposed in 1747 by Étienne La Font de Saint-Yenne and supported by Diderot in 1765 in the article on the Louvre in the Encyclopédie. The idea was accepted by Louis XVI who, in 1789, began work on the Grande Galerie of the Louvre. The Revolution intervened, and on 27 July 1793 the Convention decreed the creation of a Museum of the Republic (Musée de la République française), which opened on 10 August 1793, the first anniversary of the storming of the Tuileries. 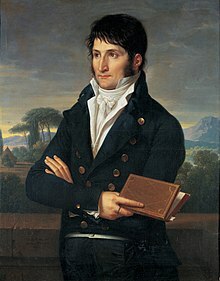 In 1797, at the end of Bonaparte's triumphant first Italian campaign, convoys of wagons began arriving in Paris, carrying bronze horses, Greek antiquities, tapestries, marble statues, paintings and other works of art taken from Italian cities under the terms of peace agreed by the Austrians. They included works by Raphael, Leonardo da Vinci, Titian, Paolo Veronese and other masters. Other convoys arrived from the Netherlands and Flanders with more art from the Spanish provinces. The more famous works were displayed on wagons in a festive victory parade through the center of Paris. The rest was crammed, unwrapped, into the corridors, galleries and stairways of the Louvre. Work began to rebuild the Galerie d'Apollon and other galleries to provide a home for the 'newly acquired' art. The Directory had no public money to spend on architecture, but the newly-wealthy upper class had abundant money to buy châteaux and town houses, and to redecorate them. 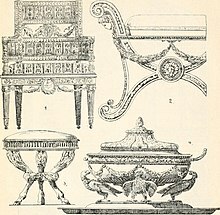 The style of interior decoration, known as the Directoire style, was one of the notable contributions of the period. It was a transitional style, a compromise between the Louis XVI style and French neoclassicism. Riesener, the famous furniture designer for Louis XVI, did not die until 1806, though his clientele changed from the nobility to the wealthy new upper class. The Directory saw the first widespread use of mahogany, an imported tropical wood used in the making of furniture. The shortest and simplest description of the entire period, from the Convention to the Empire, was given by Honoré de Balzac in 1837–43 in his novel Illusions perdues. The Spanish Jesuit diplomat Carlos Herrera tells Lucien de Rubempré: "In 1793 the French invented government by the people, which ended with an absolute emperor. So much for your national history". The Directory was officially led by a president, as stipulated by Article 141 of the Constitution of the Year III. An entirely ceremonial post, the first presidency was held by Rewbell who was chosen by lot on 2 Nov 1795. The directors conducted their elections privately, and appointed a new president every three months. The last president was Gohier, who resigned during Brumaire after his arrest by troops under the Bonapartist general Jean Victor Marie Moreau. After the Coup of 18 Brumaire (9 November 1799), Barras, Ducos and Sieyès resign. Moulin and Gohier, refusing to resign, were arrested by General Moreau. ^ Tulard 1998, p. 702. ^ a b Tulard 1998, p. 375. ^ Tulard 1998, p. 378. ^ Tulard 1998, p. 379. ^ Tulard 1998, p. 199. ^ Tulard 1998, p. 202. ^ Tulard 1998, pp. 204–206. ^ Tulard 1998, p. 564. ^ Tulard 1998, p. 624. ^ Tulard 1998, p. 206. ^ a b Tulard 1998, pp. 209–210. ^ Tulard 1998, pp. 209–213. ^ Tulard 1998, p. 209. ^ Lefebvre 1977, pp. 189. ^ Lefebvre 1977, pp. 192–194. ^ a b Lefebvre 1977, p. 199. ^ Tulard 1998, p. 223. ^ Soboul 1975, p. 505. ^ Lefebre 1977, p. 212. ^ Furet 1996, p. 181. ^ Tulard 1998, p. 217. ^ Lefebvre 1977, pp. 218–219. ^ Tulard 1998, p. 392. ^ Tulard 1998, p. 393. ^ Lefebvre 1977, pp. 439–440. ^ Tulard 1998, p. 1030. ^ a b Lefebvre 1977, pp. 441–442. ^ Lefebvre 1977, pp. 452–453. ^ Lefebvre, 1977 & page 445. ^ Tulard 1998, p. 231. ^ Lefebvre 1977, p. 452. ^ Lefebvre 1977, pp. 449–50. ^ Lefebvre 1977, p. 455. ^ Tulard 1998, pp. 232–233. ^ Tulard 1998, pp. 243–244. ^ Tulard 1998, pp. 251–253. ^ Tulard 1998, p. 252. ^ Tulard 1998, p. 245. ^ Tulard 1998, p. 245-246. ^ Tulard 1998, pp. 246–247. ^ Tulard 1998, pp. 398–400. ^ Tulard 1998, p. 256. ^ Tullard 1998, p. 408. ^ Tulard 1998, p. 408. ^ Tulard 1998, pp. 248–249. ^ Tulard 1998, p. 257. ^ Tulard 1998, p. 409. ^ Tulard, 1998 & page-543. ^ Lefebre 1977, p. 719. ^ Tulard 1998, p. 241. ^ Sefebre 1977, p. 719. ^ Lefebre 1977, p. 684. ^ Tulard, Fayard and Fierro 1998, pp. 704–705. ^ a b Tulard 1998, p. 260-261. ^ Lefebvre 1977, p. 723. ^ Tulard 1998, pp. 261–263. ^ Lefebvre 1977, pp. 723–724. ^ a b c Tulard 1998, p. 263. ^ Tulard 1998, pp. 264–265. ^ a b Tulard 1998, p. 272. ^ Tulard 1998, p. 276. ^ Tulard 1998, p. 277. ^ Lefebvre 1977, pp. 173–174. ^ Lefebvre 1977, p. 449-450. ^ a b Lefebvre 1977, p. 508. ^ de Goncourt, p. 178. ^ a b de Goncourt, p. 185. ^ de Goncourt 1864, pp. 145–146. ^ de Goncourt 1864, pp. 213–234. ^ de Goncourt 1864, pp. 73–83. ^ de Goncourt 1864, p. 74. ^ a b c Lefebvre 1977, pp. 548–559. ^ Lefebvre 1977, pp. 513–515. ^ Lefebvre 1977, pp. 515–518. ^ Lefebvre 1977, pp. 523–525. ^ Lefebvre 1977, pp. 528–531. ^ Lefebvre 1977, pp. 531–533. ^ Lefebvre 1977, pp. 561–562..
^ a b Lefebvre 1977, pp. 564. ^ a b de Goncourt 1864, p. 268. ^ Fierro 1996, p. 1004. ^ de Goncourt 1860, pp. 283–287. ^ Howard G. Brown (2007). Ending the French Revolution: Violence, Justice, and Repression from the Terror to Napoleon. U. of Virginia Press. p. 1. ISBN 9780813927299. ^ Cheynet, Pierre-Dominique (2013). "France: Presidents of the Executive Directory: 1795–1799". Archontology.org. Retrieved 16 November 2013. ^ Cheynet, Pierre-Dominique (2013). "France: Members of the Executive Directory: 1795–1799". Archontology.org. Archived from the original on 13 October 2013. Retrieved 16 November 2013. ^ Muel, Léon (1891). Gouvernements, ministères et constitutions de la France depuis cent ans: Précis historique des révolutions, des crises ministérielles et gouvernementales, et des changements de constitutions de la France depuis 1789 jusqu'en 1890. Marchal et Billard. p. 47. Retrieved 3 May 2014. Black, Jeremy (2002). From Louis XIV to Napoleon: The Fate of a Great Power. Routledge. ISBN 9780203006382. Church, Clive H., The Social Basis of the French Central Bureaucracy under the Directory 1795–1799, in Past & Present No. 36, April 1967, pp. 59–72 in JSTOR. Doyle, William (1990). The Oxford History of the French Revolution (2 ed.). Oxford University Press. pp. 318–40. ISBN 9780199252985. Furet, François (1996). The French Revolution, 1770–1814: 1770–1814. France: Blackwell Publishing. ISBN 978-0-631-20299-8. Hunt, Lynn, David Lansky and Paul Hanson, The Failure of the Liberal Republic in France, 1795–1799: The Road to Brumaire, in Journal of Modern History (1979) 51#4, pp. 734–759 in JSTOR; statistical profile of the different factions. Lefebvre, Georges; Soboul, Albert (1965). The Directory. London: Routledge and Kegan Paul. OCLC 668426465. Lyon, E. Wilson, The Directory and the United States, in American Historical Review, 1938, 43#3, pp. 514–532. in JSTOR. Lyons, Martyn. France under the Directory, Cambridge University Press, 1975. excerpt and text search, in The standard scholarly history. Ross, Steven T, The Military Strategy of the Directory: The Campaigns of 1799, in French Historical Studies, 1967, 5#2 pp. 170–187 in JSTOR. Rudé, George (1988). The French Revolution. New York: Grove Weidenfeld. ISBN 978-0802132727. Sutherland, D.M.G., The French Revolution and Empire: The Quest for a Civic Order, 2nd ed. 2003, 430 pages, excerpts and text search pp. 263–301.